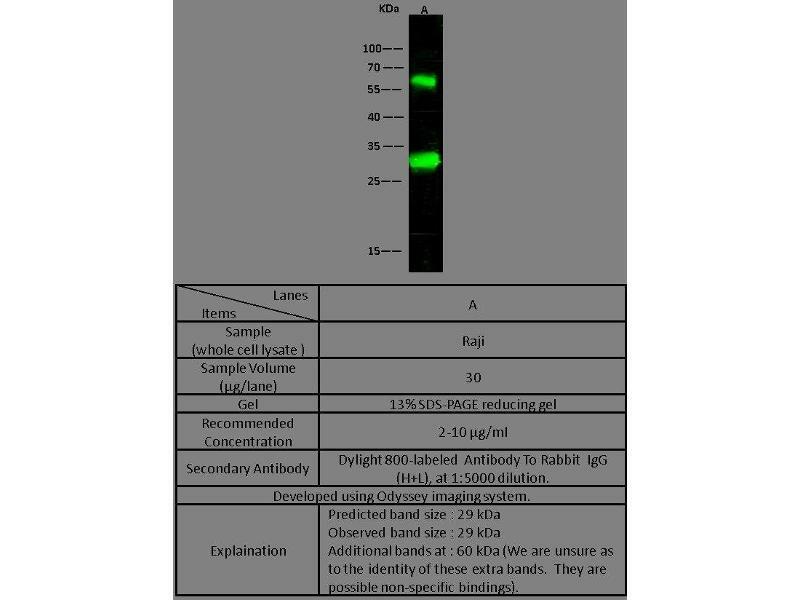 Characteristics Produced in rabbits immunized with purified, recombinant Human CLIC4 (rh CLIC4, ABIN2005158 Q9Y696-1, Ala 2-Lys 253,. 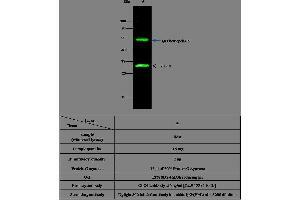 CLIC4 specific IgG was purified by Human CLIC4 affinity chromatography. 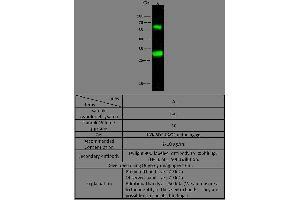 Background Chloride intracellular channel protein 4, also known as Intracellular chloride ion channel protein p64H1 and CLIC4, is a member of the chloride channel CLIC family. It contains one,GST C-terminal domain. CLIC4 is a member of a family of intracellular chloride channels. It is regulated by p53, c-Myc, and tumor necrosis factor-alpha. CLIC4 is detected in epithelial cells from colon, esophagus and kidney (at protein level). CLIC4 has alternate cellular functions like a potential role in angiogenesis or in maintaining apical-basolateral membrane polarity during mitosis and cytokinesis. CLIC4 could promote endothelial cell proliferation and regulate endothelial morphogenesis (tubulogenesis). Expression of CLIC4 is prominent in heart, kidney, placenta and skeletal muscle. Overexpression of CLIC4 in cancer cells inhibits tumor growth. Conversely, overexpression of CLIC4 in tumor stromal cells stimulates tumor growth. Thus, CLIC4 participates in normal and pathological processes and may serve as a useful target for therapies in disturbances of homeostasis and neoplastic transformation. Loss of CLIC4 in tumor cells and gain in tumor stroma is common to many human cancers and marks malignant progression. Up-regulation of CLIC4 in tumor stroma is coincident with myofibroblast conversion, generally a poor prognostic indicator. Reactivation and restoration of CLIC4 in tumor cells or the converse in tumor stromal cells could provide a novel approach to inhibit tumor growth. 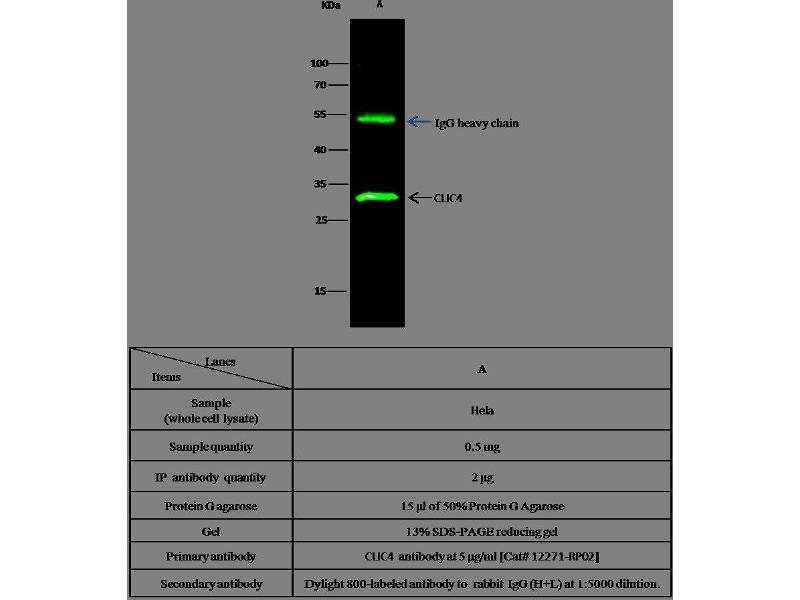 This antibody can be used at 0.1-0.2 μg/mL with the appropriate secondary reagents to detect Human CLIC4. 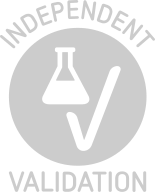 The detection limit for Human CLIC4 is approximately 0.039 ng/well. Background publications Suh, Mutoh, Mutoh, Li, Ryscavage, Crutchley, Dumont, Cheng, Yuspa: "CLIC4 mediates and is required for Ca2+-induced keratinocyte differentiation." in: Journal of cell science, Vol. 120, Issue Pt 15, pp. 2631-40, 2007 (PubMed). Berryman, Goldenring: "CLIC4 is enriched at cell-cell junctions and colocalizes with AKAP350 at the centrosome and midbody of cultured mammalian cells." in: Cell motility and the cytoskeleton, Vol. 56, Issue 3, pp. 159-72, 2003 (PubMed). Rønnov-Jessen, Villadsen, Edwards, Petersen: "Differential expression of a chloride intracellular channel gene, CLIC4, in transforming growth factor-beta1-mediated conversion of fibroblasts to myofibroblasts." in: The American journal of pathology, Vol. 161, Issue 2, pp. 471-80, 2002 (PubMed).